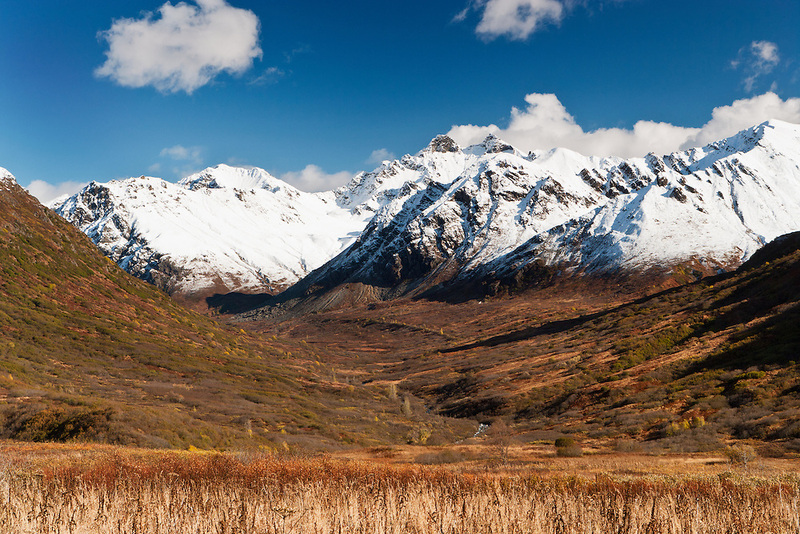 First snow blankets the Talkeetna mountains and contrasts with the fall colors in Hatcher Pass in Southcentral Alaska. Fall. Afternoon.